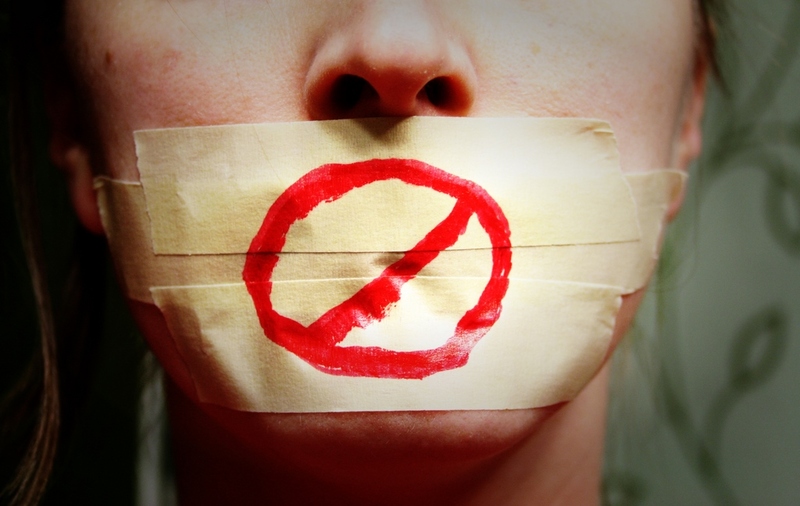 While most companies understand that honest negative feedback is, at worst, an inevitability of doing business, and maybe even a chance to improve, some companies try to use non-disparagement, or “gag,” clauses that use threats of legal action or financial penalties to prevent customers from writing or saying anything negative about that business — even if what’s being said is 100% true. We’ve seen these in everything from cheapo cellphone accessories, to wedding contractors, to hotels, to dentists, to weight-loss products, to apartment complexes. California recently enacted a law banning this sort of behavior, and some courts have deemed these clauses unenforceable, but there is still no nationwide consensus on their legality. Previous attempts to create a federal ban on gag clauses have been dead on arrival at Capitol Hill, but the latest effort appears to have some life to it. This morning, the Senate Commerce Committee held a hearing on the Consumer Review Freedom Act, which aims to make it a violation of the FTC Act to use an unfair non-disparagement clause in a consumer contract. A similar law was introduced in Congress in 2014, but died on the vine without being considered. Likewise, the 2015 House version of the bill has been sitting in committee since the spring. The Senate version, which has bipartisan support thus far, appears that it will at least get some consideration after this morning’s hearing. Of course, it helps that the sponsor of this legislation, Sen. John Thune of South Dakota, also happens to be the Chair of the Commerce Committee. Thune raised what would be a frequently repeated point at this morning’s hearing: That, because companies already have ways to deal with defamation through the court system, there is no justifiable reason for businesses to use gag clauses other than to quiet honest speech. Sen. Bill Nelson of Florida, the committee’s ranking member, noted that gag clauses have the same stifling effect as forced-arbitration clauses — the increasingly used (and Supreme Court-approved) provisions that take away consumers’ rights to sue. Both ultimately remove a wronged consumer’s Constitutionally protected right to seek some sort of redress. Interestingly, this morning’s panel didn’t feature a single person who could defend non-disparagement clauses. There was an executive from TripAdvisor, which does not prohibit listed hotels and businesses from using these clauses but does flag them so that users are aware before they book a trip. The travel site was thrust into the gag order spotlight in 2014 when a hotel in England charged $157 to the credit card of some unhappy guests after posting a negative review online. On hand to put a human face on the issue was Jennifer Palmer, whose drawn-out ordeal with online trinket retailer KlearGear made national news after the company hit her and her husband with a $3,500 penalty for posting a negative online review. Not only was the KlearGear non-disparagement clause legally questionable — the company never showed up in court to defend itself — but Palmer proved that the clause was added years after she had made the purchase on the site. She testified today that she attempted to obtain legal help to deal with the situation — which was having a negative impact on her family’s credit — but that just about everyone she spoke to “wouldn’t touch it with a ten-foot pole,” and those that were willing to help wanted thousands of dollars. “If we don’t have $3,500 to pay to KlearGear, we don’t have thousands to pay to an attorney,” explained Palmer, who eventually received pro bono legal assistance through Public Citizen. The problem, as noted by Sen. Claire McCaskill of Missouri, is that damages in such a case are often so small that many lawyers can’t be bothered to invest their time in pursuing litigation. Another point that continued to pop up during the hearing was the idea that good businesses should not hide from negative reviews, but use them as a way to improve their products and services. Robert Atkinson, president of the Information Technology & Innovation Foundation, testified that evidence shows that when a business responds affirmatively to a negative review — rather than attempting to bury it or ignore it — that action often has a net positive result. Regarding the need for a federal-level law on gag clauses, Santa Clara University law professor Eric Goldman noted that courts need guidance from legislators on this matter. While many judges have ruled that these stifling provisions are unconscionable and unenforceable, some courts have been very reluctant to interfere with contractual agreements. Sen. Richard Blumenthal from Connecticut argued that a federal law barring these provisions would promote the free market nationally. “These products and services are sold nationally, and should be enforced nationally without the impediment of a patchwork of state laws,” said Blumenthal. The only real criticism of the pending legislation came from Ira Rheingold, executive director of the National Association of Consumer Advocates. He noted that he was currently unable to support the bill because it limits the ability of states’ attorneys general to partner with private attorneys in these matters. However, it was repeatedly noted in the hearing that this provision will be removed as the bill moves forward.